You've found New York State Traffic Class, the Internet leader of everything driving safety related. We have courses that teach road rules to both experienced and younger drivers. For adults, we offer traffic ticket dismissal courses that are court approved. For teens, we have online driver's education and first time driver courses that help you earn your driver's license. Check it out for yourself. Monterey Trafficschool On-line - With our course, you get high quality traffic school online for the lowest price we can offer. Dismiss your ticket today! 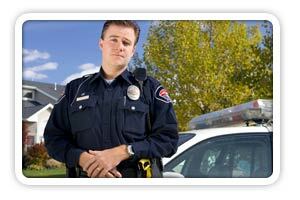 On Line Florida Trafficschool - So you took a weekend trip and got ticketed by a police officer for speeding? Or perhaps you made an illegal u-turn? Don't stress, we can save your driver record. We have online classes with a lowest price guarantee. Ca Driver Education On The Internet - Drivers education courses for teen driving students. Our DMV licensed driving school has just what you need to start driving. Internet Cheap Driver Ed - Time to start driving? We have the teen driving courses you need to get your learner's permit and provisional driving license. Whether it's online driver's ed or quality driving instruction. Don't delay, get started today and you'll be driving safely in no time. New York Defensive Driving On The Web - So you took a weekend trip and got ticketed by a police officer for speeding? Or perhaps you made an illegal u-turn? Don't stress, we can save your driver record. We have online classes with a high quality guarantee. It's the easiest way to keep your insurance premiums down, get rid of your tickets, and get back on the road of life! Online NY Defensive Driving - Get your ticket dismissed with our Defensive Driving Class Online - it is fast, easy, and a low price alternative to having your ticket dismissed! How Long Does An I-PIRP Program Take? Your Point and Insurance Reduction Program will last at least 5-hrs and 20 minutes in length. State defensive driving law requires that all approved defensive driving programs be a bare minimum of 5-hrs and 20 minutes long. NewYorkTrafficSchool.com abides by this time requirement, thus ensuring that you get a New York State DMV approved class and will be eligible for your rate of insuring an automobile discount and point reduction rewards. NewYorkTrafficSchool.com, in conjunction with The American Safety Council, offers a New York State Defensive Driving course approved by the New York State DMV. Upon passing of our PIRP, patrons get a minimum of a four point-reduction on their New York record. In addition, a mandatory minimum 10% automobile insurance discount will be earned if the course is completed by the principal operator of the vehicle being insured. Can I Login And Logout Of My Program? Our I-PIRP is designed to make your life easy! You can sign-in and log-off as you want, allowing you to do the class at your own tempo. Just remember that the New York State Defensive Driving laws require you to complete your class within a 30 day time frame.